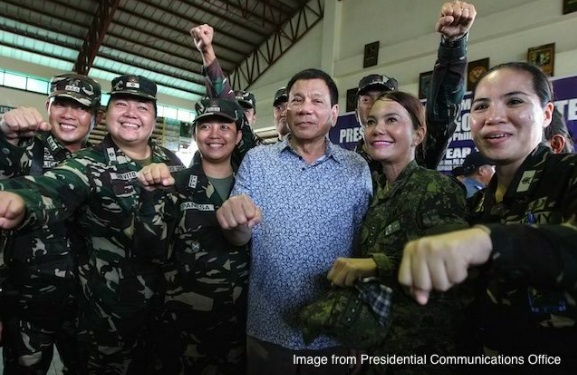 Some groups have called on President Duterte to take statesmanship 101 lessons following his profanity-laced attacks against his critics here and abroad. The President, known for his potty mouth and boorish behavior, however proudly declared he isn’t a statesman and has no plan to learn how to be one. 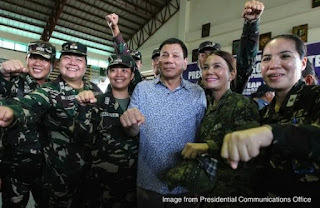 “Kapag minsan, sabi nila na hindi daw ako statesman, eh hindi naman ako nag-apply ng position na statesman, nag-apply ako ng posisyong presidente, nag-elect ako,” said Duterte during a visit in Cagayan de Oro on Thursday (September 22). Duterte said he does not even know how to sound and dress like a statesman. He said he was just a “small town mayor” from Davao City who has been elected President of the country. “Statesman, I don’t know how he would dress, I do not even know how he would open a statement. But what I know is that I have to serve the greater interest of the Filipino people,” said the former mayor of Davao City.